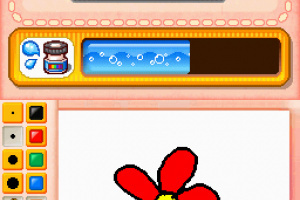 A work of art, or a real mess? 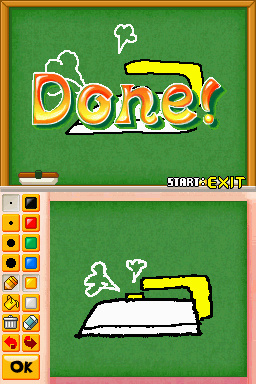 With the DS’s touch screen and wireless communications, it’s a wonder there’s no Pictionary game available. 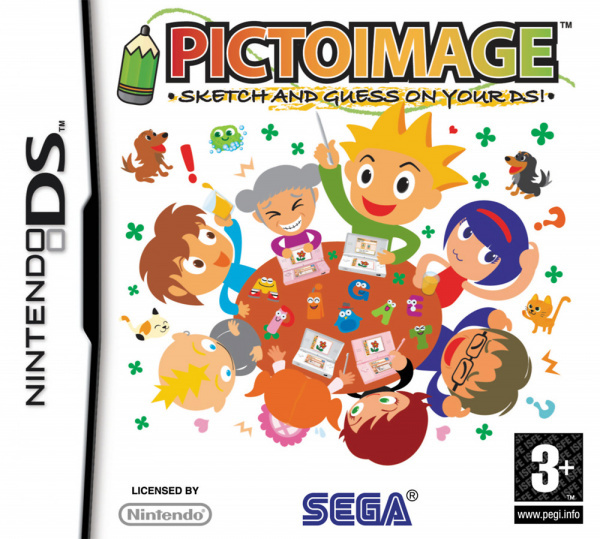 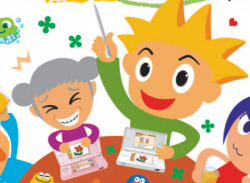 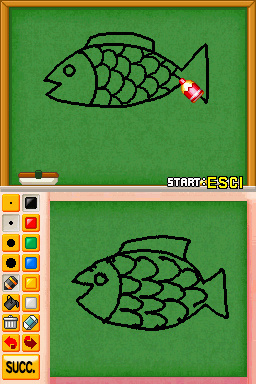 Lucky for us, here comes Sega to plug the gap with PictoImage, their take on the classic draw-it-guess-it game. 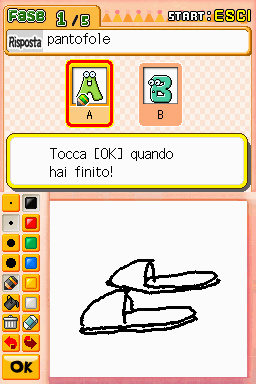 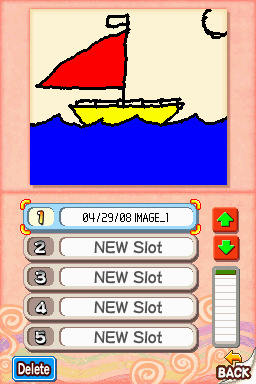 The single player mode consists of 300 pictures drawn by people of all ages, from 4 upwards, and you simply guess what the picture is. 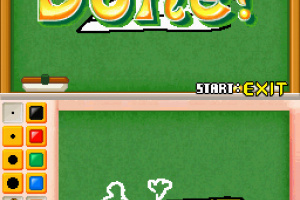 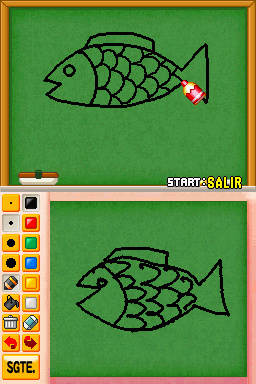 When you..
PictoImage is a pick up and play puzzle game in which players to take turns drawing the image of a word, while competitors race against the clock to guess the word first. 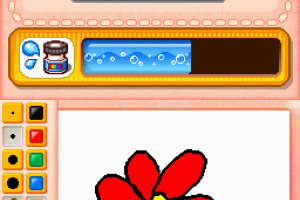 The words are generated at random and can be anything from an apple, to a waterfall or a butler! 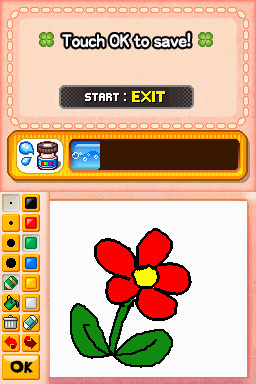 Even if art is not your best subject, the three playable modes means there really is something for everyone and it can actually help you learn to draw! 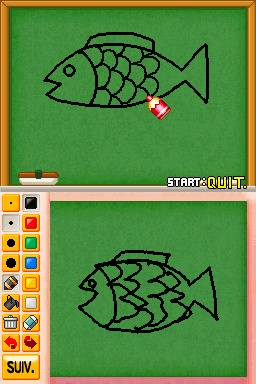 The Multiplayer Mode in PictoImage allows up to eight players to enjoy a variety of party drawing games. 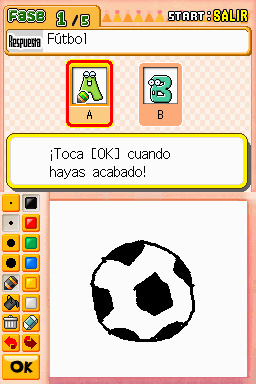 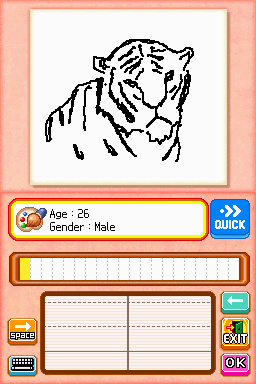 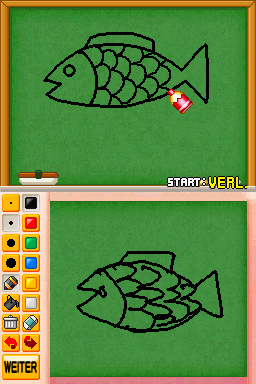 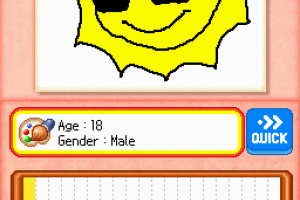 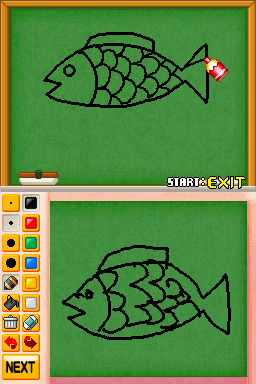 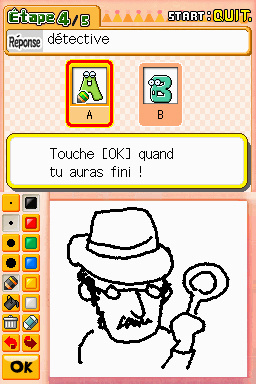 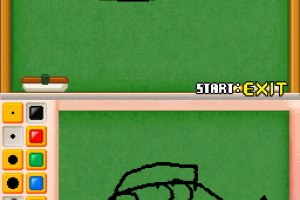 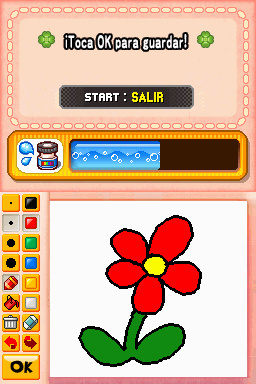 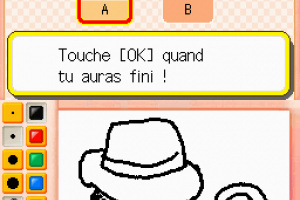 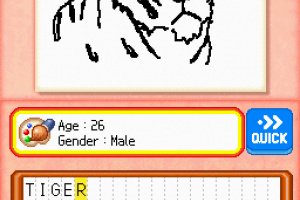 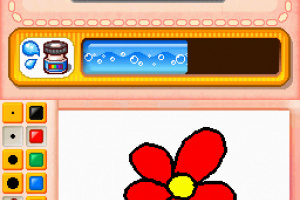 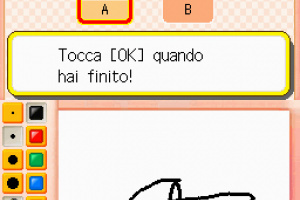 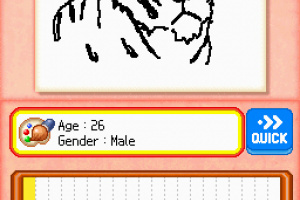 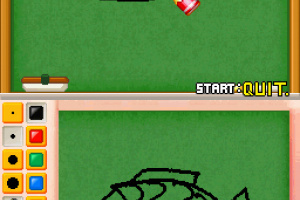 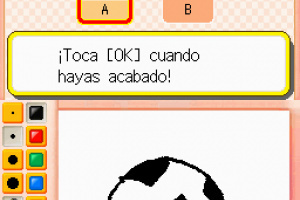 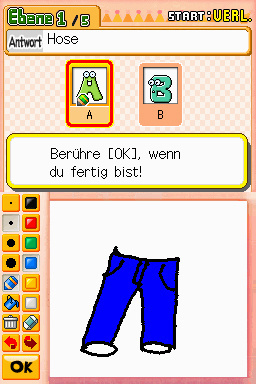 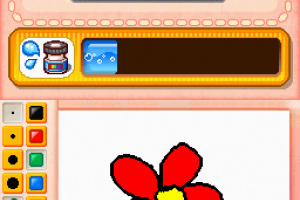 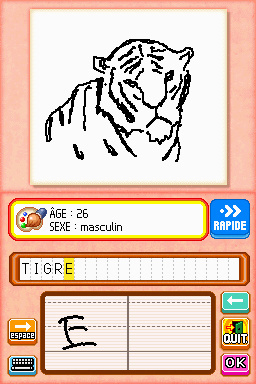 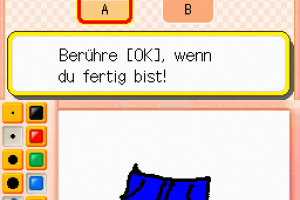 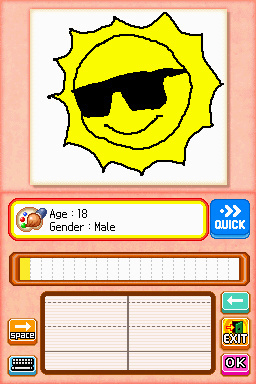 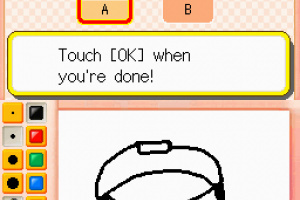 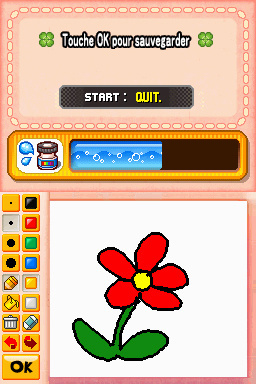 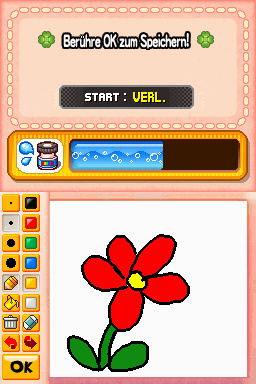 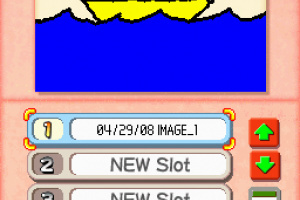 In Picture Pass, for example, a subject will be passed from player to player in an image and the last player guesses the subject based on the last drawing. 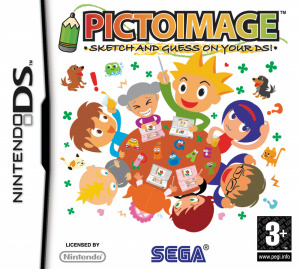 The single-player and two-player mode gets players guessing an image from a library of 300 drawings created by people of all ages whilst the tutorial mode teaches players how to draw different images from the four main categories of Animals, Objects, Food, and Other. 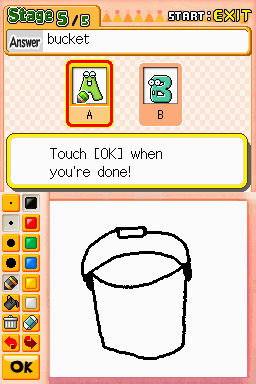 Art has never been so much fun!